ACCIONA Energy South Africa is currently looking for 1 Project Administrator for our O&M Company. To provide an efficient and effective administrative service to the General Manager, Financial Manager, staff and guests. Ensure the smooth running of the head office and project sites, based in the Western Cape, by facilitating all administrative requirements of the office are met. • Manage company phone calls, route calls appropriately and relay messages. • Screen all telephone calls and handle enquiries. • Greet all visitors by offering refreshments and inform the appropriate staff of their arrival. • Receive incoming courier packages and prepare outgoing packages. • Receive and distribute all incoming mail and parcels to the appropriate staff member. • Manage boardroom bookings, building access and parking. • Assist with catering for meetings. • Assist the General Manager with letters, reports, presentations and compilation of packs. • Assist with obtaining signatures of management and directors (including printing). • Assist with compilation of spreadsheets and documents . • Assist with enquiries relating to orders as requested by the General Manager. • Preparation of Purchase Orders as required and tracking of purchase orders. • Take minutes of meetings and distribute accordingly when required . • Collect all invoices and send it to the finance department for processing where required. • Compile office supply orders and maintain appropriate quantities in stock. • Assist with administrative overflow and special projects from sites as needed. • Arranging travel bookings . • Completion of forms with company details (e.g. : banking forms, account applications etc.). • Documentation control – ensure that all documentation is filed manually and electronically. • Ensure that document numbers are issued for company documents and ensure that the document Register is updated. • Ensure that the Register of Contracts is complete and up to date and ensure that management is alerted of contracts/documents which are ending and may require renewal. • Promote the aims of the company and assist with ad hoc requests that may reasonably be expected within the company from time to. • Monitoring of Scada system as and when required. • Analysis of data and information received to compile reports. 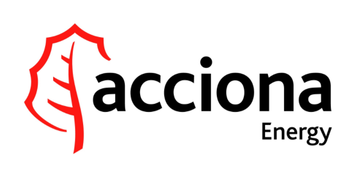 ACCIONA is one of the foremost Spanish business corporations, leader in the development and management of infrastructures, renewable energy, water and services. Listed on the selective Ibex – 35 stock exchange index, it is a benchmark for the market. Local applicants will take preference.